Apple has a new “secret agent” among its ranks. Rónán Ó Braonáin, who joined the Cupertino company four months ago, was previously a director of engineering for a company that makes digital license plates, and it’s thought his new role could have something to do with the rumored Apple Car project. Apple has hired dozens of people with automotive experience in recent years, which has only fueled the rumors surrounding an Apple Car. But its latest is particularly interesting, because it suggests that a future Apple vehicle could sport digital license plates that provide things like location tracking and automatic registration. Ó Braonáin previously worked for a San Francisco company called Reviver, which is behind Slate, the digital license plate that promises to automate your fleet. Slate registers all the vehicles in your fleet automatically, provides safety alerts, lets you monitor a vehicle’s maintenance records and location, and more. Before his five-month stay at Reviver, Ó Braonáin was a software engineer at BMW, then a chief technology officer at Vision Fleet, a company that provides businesses with electric fleet management software and financing. Ó Braonáin has bags of experience in vehicle management, then. The state could save millions on administrative costs related to car registrations and bring in significantly more revenue by changing the display to “expired registration” or something similar to incentivize drivers to pay their registration fees. The technology has the potential to significantly reduce the workload of the DMV and could also be useful to further automate tolls and parking fees, but the potential for innovation goes way beyond administrative efficiency. Electrek also notes that digital plates could be used to facilitate vehicle sharing, perhaps by allocating plates to drivers rather than vehicles, then having them swap automatically when the driver enters the vehicle. This would be ideal in a car sharing situation. Perhaps not too surprisingly, Ó Braonáin’s actual title at Apple is being kept under wraps. As shown in the screenshot below, Ó Braonáin has labeled himself a “special agent” with Apple’s Special Projects team. 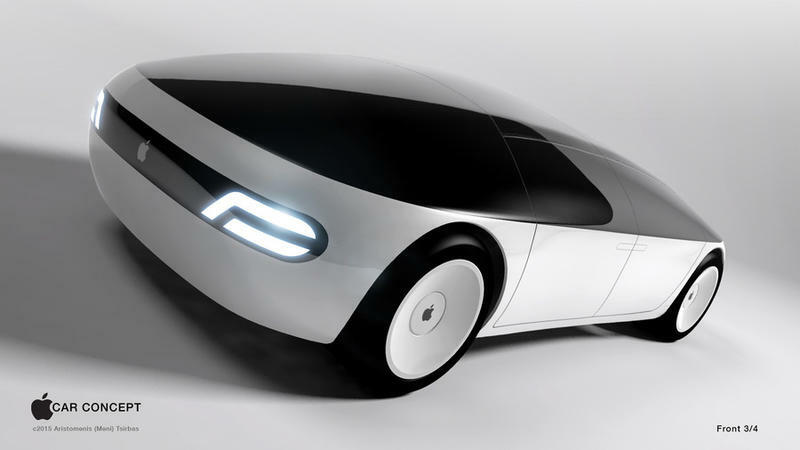 According to some reports, Apple is aiming to ship its first electric car by 2019. Tony Fadell, a former Apple engineer who worked on the iPod, recently revealed that Steve Jobs discussed the possibility of an Apple Car as early as 2008.